Hi and welcome to my website. 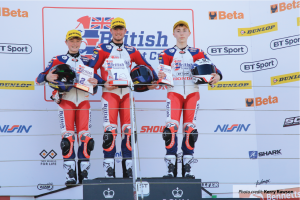 I am Cameron Horsman, 17 years old, from Forest Hill, London and have been racing motorbikes for 10 years. I am totally dedicated to racing with my main focus being to improve with every step I take in the sport and to be successful. After many years gaining experience on Mini Moto’s and Metrakits with FAB Racing throughout the UK and taking the mini GP 50 and mini GP 70 Championships, Roger Keys of FAB gave me the opportunity to compete on the Engines Engineering 125GP machine in the HEL Performance British Motostar Championship 2015. Taking my first win of 2015 on this machine at Knockhill, a succession of further wins closely followed, with the highlight being a double 1st at Assen Circuit. During the season I was mentored by Roberto Baglioni, from Engines Engineering, who advanced my technique, skill and outlook to racing. 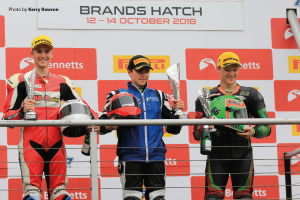 The 2015 season finished 6th place in the championship, starting the season on a loaned Honda from Alistaire at Motor Sense, and missing the last round at Brands Hatch in September to attend the Red Bull Rookies selection event; making it to the final stage, but sadly no British rider was selected. 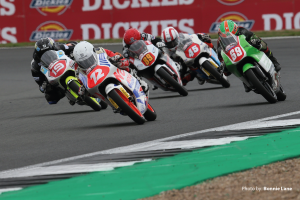 2016 season saw me competing on-board a standard Honda NSF250R machine as a rider for the FAB Racing Team in the HEL Performance British Motostar Championship Standard Class, a support class within the British Superbike Championship. Towards the end of May 2016, I was invited to compete in the Moto 3 Open class of the Alpe Adria Road Racing Championship, riding the Engines Engineering 125GP machine. This championship is open to competitors from all over Europe, taking place within the countries of the Alpine-Adriatic region: Slovakia, Hungary, Croatia and Czech Republic. Supported by Roberto Baglioni, who mentored me whilst ensuring the EE125 was race ready, I succeeded in winning the Championship and as the only rider from the UK also represented my country. 2017 competed in HEL Performance British Motostar Championship standard class on the Honda NSF250R for the FAB team which proved somewhat of a juggling act for me as I had to balance racing around GCSE exams. 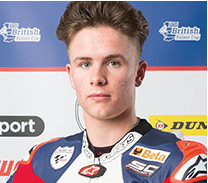 August 2017 and having been shortlisted from more than 200 applicants from within the British Isles, I attended the Selection Event at Silverstone along with 90 other riders for the new British Talent Cup Competition and was successful in being accepted as one of the full time entrants to the cup for 2018 which it is hoped could be a step onto the road to MotoGP™. 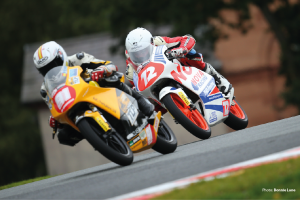 In addition to the British Talent Cup, I will again be competing in the HEL Performance British Motostar Championship standard class both on board a Honda NSF250R. I would take this opportunity to thank everyone who has helped me in my racing career to date; FAB Racing, Nova Racing, Engines Engineering, Roberto Baglioni, my Sponsors, Forest Hill Boys School for leave of absence to compete, my Family and Friends for their support, all of whom have contributed to my success and achievements to date. In addition a thank you to the British Talent Cup Selectors for the opportunity I have been given to take my career to a higher level.